Cold cases and unsolved murders are making the news these days, but today marks the anniversary of one Madison&apos;s more bizarre cases. 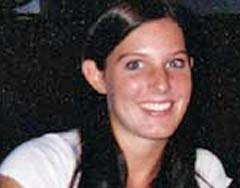 March 31st, 2004, five years ago this afternoon, a UW co-ed&apos;s story of abduction hadn&apos;t yet started to unravel. Audrey Seiler was found alive in a marshy area across from Madison&apos;s Alliant Energy Center. Her disappearance, and the eventual disclosure that she lied about being kidnapped, put then Acting Police Chief Noble Wray in the glare of a national spotlight. Wray says he received a letter from Seiler about a year ago, apologizing to Madison police for the impact her disappearance had on the police department and the city. Seiler has since paid back the money it cost to search for her, and her phantom abductor. Wray says the department continues to periodically review policies on missing persons.